What is the Moobox Wire-Free HD Camera? Is it easy to install and setup? In today’s climate, home security is likely at the forefront of most people’s minds. The average home is usually filled with a multitude of expensive, easy to steal gadgets such as iPhones, tablets and laptops which means ensuring your home is safe and secure is very important. Gadgets can easily be replaced, but often it’s the intrusion that is the most upsetting. Thankfully there are many options available to protect your home. Ranging from a rather large dog, the traditional alarm system with external siren box (which most people tend to ignore when they go off), fully monitored CCTV systems and now, what offers the best value for money, the IP camera. Starting from under £30 these cameras offer a range of features such as a simple setup, instant alert notifications and cloud storage in one compact HD camera package. 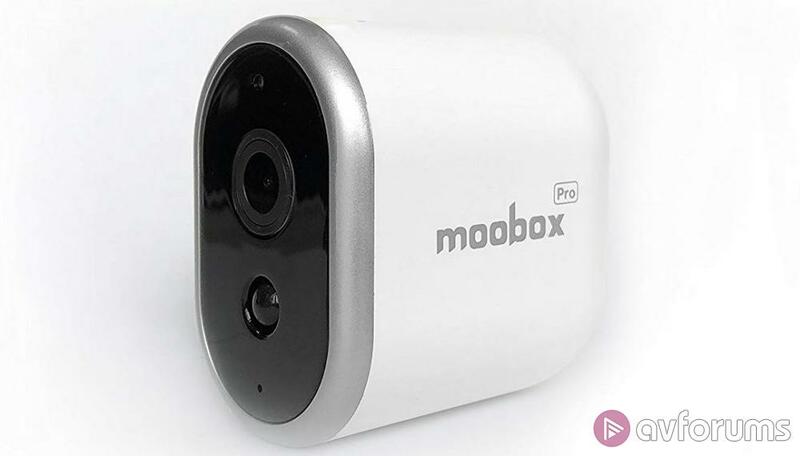 Our next review item is from Moobox, a Chinese manufacturer founded in 2013 and specialising in IP camera and WiFi related products. Their Wire-Free HD Camera available for around £120 aims to offer a ‘super simple way to get Internet CCTV into your home’. The camera is 1080P, includes SD card storage and free 7 day cloud storage, night vision, motion detection and two way audio. Moobox have stated a lot of bells and whistles have been kept out to ensure it is as easy to setup and use as possible. But will this be of a detriment or just provide a simple and easy to use product? Read on to see how it fares during our tests….. The Moobox Wire-Free HD Camera is as the title suggests, but the wire free part relates only to the camera. In the package you get an attractive looking white camera unit weighing just 185g with a silver front bezel and black lens area, a silver and white magnetic wall mount (which can be screwed or stuck on) and an all-white small and very light (82g) central hub unit along with the power and Ethernet cables. The camera is up to Full HD 1080P with a video format of H.264, a CMOS sensor, two-way audio, motion sensor and night vision which can illuminate up to 16 feet via the 850nm LEDs. It includes a 3200mAh rechargeable battery and a 120° field of view and is completely wireless. You can place it anywhere you like without fear of having to get a cable to it. The only requirement is that it is in range of where you locate the hub unit. You can also use the camera wired in if you have USB power nearby. The hub requires mains power and a network connection and includes a free 16GB microSD card for local storage of videos. The microSD card can be expanded up to 128GB, but to do that does require taking the hub unit apart completely, as the card is hidden away underneath the main PCB. The hub can also act as a WiFi extender and has a USB port to charge the camera via the included USB cable. The wireless is 2.4ghz, 802.11b/g/n. One of Moobox’ goals with this camera was to provide a system that anyone can use. An internet camera for those that previously have discounted it due to fear of a complicated setup. As such we were keen to see just how easy it was to install and setup and for the most part we weren’t disappointed. The first-time setup is quick and is very easy to follow, you really wouldn’t need any technical knowledge. Simply connect the hub to a port on your router (or any free port on your home network such as on a network switch), connect the power and wait a few seconds for the LED light sequence to go out. Then connect the camera to the hub via the USB charging cable, press the button on top of the camera for 5 seconds and the camera charging will begin. Once fully charged the camera requires synching to the hub which is done by pressing the hub main button and the camera button. When the LED light sequence has finished the two devices are now synched. You then install the Moobox app on your iOS/Android device and follow the simple in app guide to complete the setup. Excluding about 3 hours to fully charge the battery, the setup process should take no more than a couple of minutes. Once completed, the camera can be placed flat on a surface or you can use the magnetic wall mount. The wall mount can be fixed either by the provided 3M tape or screws. Unfortunately, Moobox have made an error with the magnetic mount, in that the magnets are not strong enough to hold the weight of the camera in a fixed position. The instructions say the ‘camera attaches magnetically to the mount for ultimate flexibility over placement and orientation’ but place the camera on the mount and it will droop all the way down until it just faces downwards. Not really any use. The hub can also be setup to work wirelessly, rather than via Ethernet cable, but this didn’t work during our testing resulting in the hub connection freezing. We found the same with the wireless extender feature, connecting our phone to this network gave download speeds of less than 0.5Mbps compared to our normally 30+Mbps, so to get the best out of this camera we would recommend using the Ethernet cable and ignore the wireless extender feature altogether. During our testing we found that once motion was detected you received a notification within about 5-10 seconds. But unlike the Ring devices for example, you can’t immediately click a live view to see what is going on, you have to wait until the camera has finished recording the clip. The recording is available shortly to view back, but if the camera is recording for a few minutes, you won’t be able to view the live image for some time. Not a great feature. Plus, any recordings made via motion detection are video only and when playing back recorded videos no video length is shown nor do you have a playback slider to move to a particular part of the video. This is rather more basic than we would have liked. The video quality is as you would expect for a 1080P resolution camera. The image is clear, bright and all the detail is there, including with the night vision, should you need to identify faces or see which cat it was that peed in the corner. The audio on the live view is just about acceptable quality as is the two way talk feature. Moobox were not wrong when they said they had kept out a lot of bells and whistles with this system. The App for example offers minimal functionality, but for those that don’t require further options it may give you all that you need. The main screen shows the camera which you can click on for a live view, then a tab for events. Here you will find the recorded videos on both the SD card and the Cloud storage. You can choose to see recordings just on the SD card or just on the Cloud if you wish along with selecting a specific date’s recordings. The configuration options are similarly basic with the hub settings just showing you how much space is left on the SD card and an option to clean up all local video and on the camera tab an option to simply turn motion detection on or off. There is no option for example to have motion recordings on but push notifications off. It’s all on or off. The app is occasionally unresponsive requiring a force restart and sometimes it will not connect to live view at all, presenting you with a 'connection time out, please restart App' message and at other times seems to take far too long to open live view. Also, the battery life in the settings during our testing was showing at 52%, then suddenly it started flashing saying 10%, then shot back up to 41%. It does seem like a bit more work on the App is needed here. The battery life is quoted as up to 4 months based on 10 recordings and 5 live viewings per day. During our testing we did put it through its paces with over 500 recordings per day and the battery still lasted for a good two weeks, so with minimal usage the battery should last a decent amount of time. We did have to re-sync the camera to the hub following a recharge though, it just refused to see the camera. 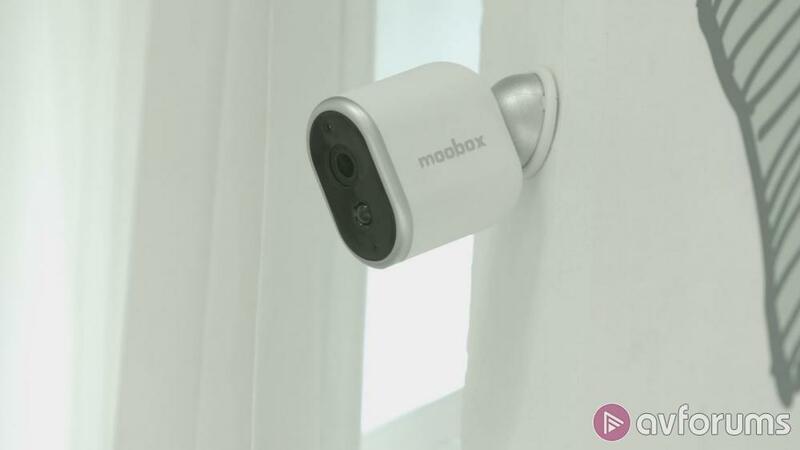 This system from Moobox isn’t just limited to one camera, you can easily add additional cameras (which retail for around £88) to expand the system and all will be available to view from the Moobox app. The Wire-Free HD Camera from Moobox is one of those products that is nearly there, but not quite. The wireless 1080P camera with the 120° field of view offers excellent quality videos along with a very quick and simple installation and setup as well as an App that is very basic and easy to use. Basic settings such as motion zones, length of recordings and recording schedules are all missing. The system simply records a video when motion is detected and you view it back, that’s it. Which if you are a basic user may be exactly what you want. The lack of bells and whistles that Moobox have kept out to keep it simple may in fact do the opposite. In the most part it does a decent job, but unfortunately the implementation is sloppy. The magnetic mount is useless as it isn’t strong enough to keep the camera in any other position than straight down and the App has issues such as intermittent connection to the camera, incorrect battery life reporting and a refusal to view a live image when a video is still being recorded. If you are out and you get a motion detection at home, the very worst thing in that moment is not being able to instantly see what is going on. Even if it’s just the cat walking past the camera. It’s almost there as a package but needs more work, particularly given that it costs £120. The issues we experienced are what we would expect in one of those unbranded cameras you see on Amazon costing £30. 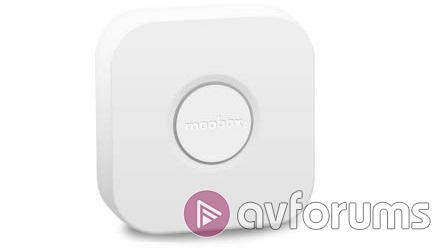 At £120 Moobox have a lot of competition, particularly from the likes of Netgear’s high specification (but admittedly wired) Arlo Q and the Reolink Argus 2, both available at under £110. 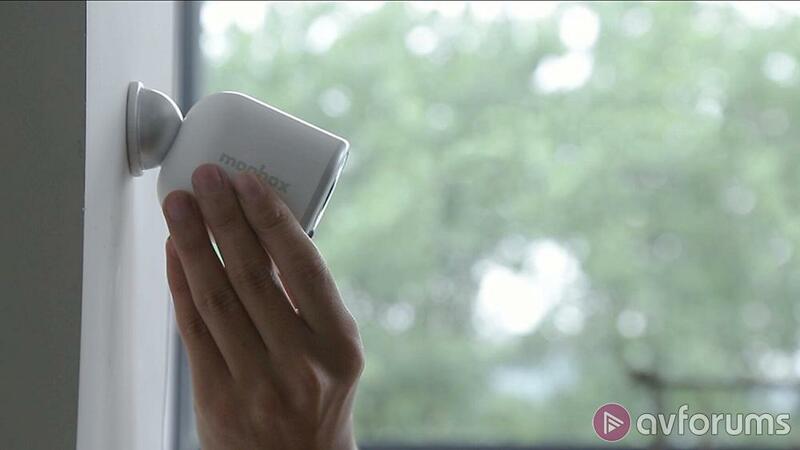 With a few tweaks the Wire-Free HD Camera from Moobox could be a contender, but not at this time. Write your Moobox Wire Free HD Camera Smart Home Product review.